An Indian and a Chinese walk into a bar. The bartender says, 'What is this? A night of laughs?' 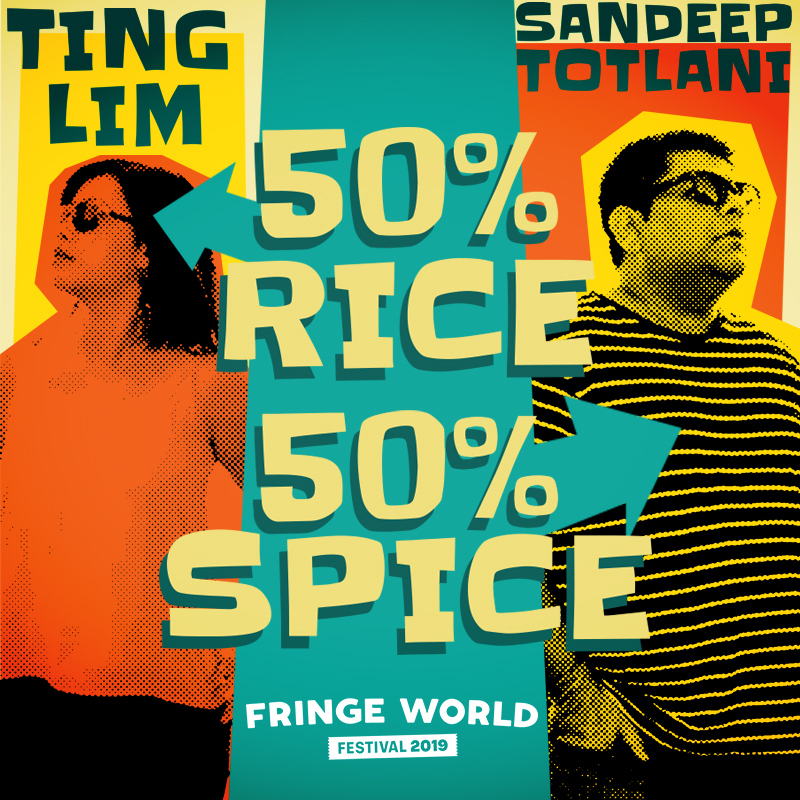 Enjoy the distinctive comedic stylings of Ting and Sandeep as they join forces for their debut show at FRINGE WORLD. Ting represented Queensland at the national RAW and Green Faces competition finals. She has sold out performances across Australia and Singapore. Her distinctive style and skillfully crafted punchlines bring a breath of fresh air to the stage. "Funny, charming stuff"-The Heckler. Ting has represented Queensland at the national RAW and Green Faces competition finals. She has sold out performances across Australia and Singapore. Her distinctive style and skillfully crafted punchlines bring a breath of fresh air to the stage and has seen her perform alongside comedy heavyweights such as Rove McManus and Tommy Little. “Funny, charming stuff” The Heckler. Juggling between the Indian and Western culture, Sandeep has regularly performed comedy in 3 languages on some of the biggest stages across Australia and India supporting the likes of Danny Bhoy, Zakir Khan, Matt Okine, Damien Power and Becky Lucas to name a few. His perspective is fresh, stage persona likable and his stories, both intriguing and hilarious.